The Elder Scrolls III: Morrowind® Game of the Year Edition includes Morrowind plus all of the content from the Bloodmoon and Tribunal expansions. The original Mod Construction Set is notincluded in this package. An epic, open-ended single-player RPG, Morrowind allows you to create and play any kind of character imaginable. You can choose to follow the main storyline and find the source of the evil blight that plagues the land, or set off on your own to explore strange locations and develop your character based on their actions throughout the game. Featuring stunning 3D graphics, open-ended gameplay, and an incredible level of detail and interactivity, Morrowind offers a gameplay experience like no other. In Tribunal, you journey to the capital city of Morrowind, called Mournhold, to meet the other two god-kings of Morrowind, Almalexia and Sotha Sil. Your journey will lead you to the Clockwork City of Sotha Sil and massive, epic-sized dungeons, where strange and deadly creatures await you, including goblins, lich lords, and the mysterious Fabricants. Bloodmoon takes you to the frozen Island of Solstheim where you'll experience snow, blizzards, and new creatures, including frost trolls, ice minions, and wolves... just to name a few. You'll have a choice of stories to follow and have the opportunity to defend the colony, take control over how the colony is built up, and eliminate the werewolves. Or, you can decide to join the werewolves and become one of them, opening up a whole new style of gameplay. OpenMW is an attempt to reimplement the popular role playing game Elder's Scrolls III: Morrowind. OpenWM is free and open source engine released under the GNU GPL 3 license, and all the source code has been written completely from scratch. At early stages the code was written in D, but currently it has been transferred into C++. OpenMW is a multi-platform software running on Linux, Mac and Windows in order to improve the game's engine and functionality. Developers use various other open source tools, most notably OGRE fro graphics, and Bullet for collision and physics. Also they use OpenAL and Audiere for audio purposes. More information can be found here. Simply put, OpenMW is going to be a fully playable fork of Morrowind (currently is pre-alpha). No mistake here, OpenMW is an open source implementation of the game but still you must own the game to play itW. It's true that Morrowind is an old title released back in 2002, so its price tagged only for $20 at Steamshop -- this is full the game of the year edition. Be a full featured reimplementation of Morrowind. Run natively on Windows, Linux and MacOS X. Support all existing content, including Tribunal, Bloodmoon and all user created mods. Allow much greater modability: change game rules, create new spell effects, etc through scripting. Fix system design bugs, like the “dirty” GMST entries in mods, and the savegame “doubling” problem. Improve the interface and journal system. (Possibly) Improve game mechanics, physics, combat and AI. (Possibly) Support multiplayer at some point. (Possibly) Improve graphics to use more modern hardware. After installation, run OpenMW Launcher from menu and it will you ask you to specify game data folder. 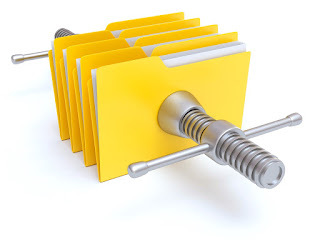 Select the folder and you are ready to go. Playing Elder Scrolls in Linux is a dream come true for the most of linux gamers. Thank you guys, thanks!!! uCareSystem Core is a small software that automates the basic system maintenance processes. Now it is also available to install it via PPA if you are interested to automatically receive new features.